Vetiver is often referred to as the Oil of Tranquility because of its sedative properties that are effective in calming the nerves and promoting a feeling of peace and tranquility, and improving sleep. Its anti-inflammatory properties help to relieve pain when blended with massage oil. 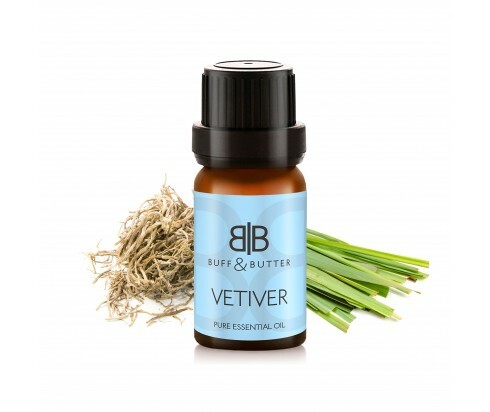 Vetiver also contains antiseptic and cicatrisant properties that make it a popular ingredient in skin care products. Blending this oil into cream or lotion for use on the skin can help moisturize and heal dry and damaged skin, and improve the appearance of scars, stretch marks, and wrinkles.